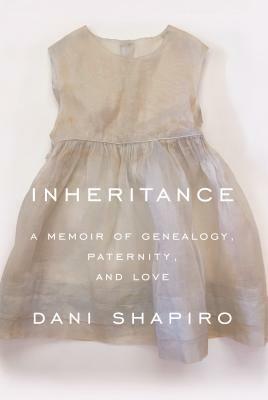 Inheritance by Dani Shapiro is a memoir about the author’s discovery that the man she had always considered her father was not, in fact, her biological father. An Ancestry.com DNA test she did on a whim – her husband was doing one, so she decided to do it too – revealed that Shapiro and her half-sister were not, in fact, related, setting into motion an intense quest for truth and answers surrounding Shapiro’s conception. When Shapiro made this discovery, both her parents were already dead, forcing her to piece together the circumstances of her birth with little help from others. I’ve read a few of Shapiro’s novels, but she is best known for her memoirs. And I can see why – her writing is clear and precise, honest and compelling. She takes her readers through each step of her path to understanding how she was conceived via a sperm donor – and whether her parents knew. She flashes back in time to instances during her childhood where she felt she somehow didn’t belong with her Orthodox Jewish family. Shapiro adored her father, and Jewish culture and custom were something she shared with him (even though she doesn’t really consider herself a religious person). Despite her fair complexion and blonde hair, Shapiro identified as a Jew growing up and resented when people pointed out that she “didn’t look Jewish”. Yet learning that her father was not her biological father explained confusion and distance she felt growing up, but also left her feeling rootless and without an identity. I think I would enjoy reading about Shapiro’s trips to the supermarket – that’s how much I enjoy her writing – but this story of secrets and discovery was engrossing. You might be tempted to ask whether, at age 54, this news should really have had this much of an impact on the author, who is, after all, a successful, married author and writer. Yet whenever I had those thoughts, I kept reading, and really came to understand just how disorienting the discovery was for her, and why it was important for her to find her biological father. Good writing will do that. I listened to Inheritance on audio, narrated by the author, and it was excellent. I feel lucky to have heard such a highly personal story read by the person who experienced it. Shapiro’s narration is like her writing: consistent, clear and eloquent. The audio was easy to follow and I was always eager to return to it. Inheritance was a very good memoir and a good read – well worth the time. Posted on March 26, 2019 by gayle. This entry was posted in 2019 EDIWTB Reading Challenge, Memoir, Non-Fiction and tagged Dani Shapiro, inheritance, memoir. Bookmark the permalink. Agreed. I love Shapiro’s writing and this book was wonderful. She is a beautiful writer! She’s also had a lot of tragedy for one person in her life. I got to meet her on her tour for her book Still Writing and she was so inspiring about what it means to write- even if it’s just book reviews. Adding this to my TBR. I think you’ll like it!